The youngest member of William and Jane Clark’s family was John Thomas Clark, who was known throughout the family as Jack. 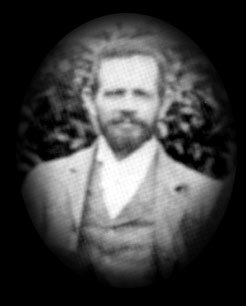 Jack was born in Durban in 1864 – the only member of William and Jane Clark’s family to be born outside of Yorkshire. Jack accompanied his brother Robert on a trip to the Transvaal goldfields in the mid 1880’s, but seems not to have made a fortune there: rather, he lost what he had!’ He married Julia Borman on 1st July 1890. After the death of his father in 1903, Jack and Julia moved into the Clark family home at the corner of Clark and Brand Roads, to care for Jack’s mother, Jane Clark. Later Jack moved to the Durban North area, where he was living in 1931.1 At the time of his death – on 7 September 1935 – Jack was living in Bellair, with his son Sid. He had suffered a stroke prior to his death, and was bedridden as a result. According to Jack’s grand-daughter, Joan Clark, he was a keen gardener. Jack and Julia had six children, namely Oliver; Sidney James; Lynette; Walter William (born 1894); Florence (born 1898) and Christopher Martin, known as “Lionel”. Jack and Julia’s eldest son, Oliver, apparently had three children: a son, also Oliver, and daughters Doreen and Lynette. Jack and Julia’s second son, Sidney, married Dora Glaum (1895- 1949). Dora was the daughter of John William Martin Glaum and Laura Glaum. Sidney was in the wool hides and skins business with his cousin Leonard – the son of George Clark (See Chapter 3). Sid and Dora had four children. The first was Olive Edith (born January 16, 1919; died December 7, 1973), a school teacher, who married Raymond George Brown. Olive was known in the family as “Bubbles”. Next was Reginald Sidney, who was known in the family as “Toby” or “Nobby”, and who was working in Howick for Escom at the time of his death in the early 1980’s. He married Elsie Smith, who was the donor of a selection of very interesting photographs of Sid and Dora’s family members. Reginald and his cousin Dennis (the son of Walter) were close companions in their youth, and both joined the South African forces as eighteen year olds at the beginning of World War Two. The third and fourth of Sid and Dora’s children were Geoffrey Reginald , of Cato Ridge, who married Margaret Rose Ferris; and Hector John, who apparently died in infancy. Walter William Clark (born 1894; died 1960) was Jack and Julia’s third son. Walter’s daughter, Joan Clark, remembers that in pride of place in the family home Walter had a photograph of the league winning Stella Soccer Team in which he and his brothers Sid, Oliver, and Lionel played – along with other Clark family members. Walter married Maud Kristine Kieldson (1895-1980), and of that marriage five children were born: Dennis Walter (born 1921; died 1983 – married Betty Boorman); Eileen Joan (born 1923 – did not marry); Lawrence Courtenay (born 1926 – married Moira Washington); Patricia Margaret (born 1929 – married John Maeder); and Brian Thomas (born 1930). Walter was one of the survivors of the First World War Battle of Delville Wood. His son Dennis also served – and suffered – in wartime: he was taken prisoner at Tobruk in North Africa, and was held as a prisoner of war in Italy and Germany until almost the end of the war. As the Allies advanced through Germany, Dennis and his fellow prisoners were marched across Germany towards the Russian border. It was on this march that Dennis was liberated by American soldiers – he first realised that he was free when he heard the sound of American voices, rather than German ones, outside the barn in which he had spent the night! Jack and Julia’s fourth child, Lynette, married Robert Spence, but the couple did not have any children. Their fifth child, a daughter, Florence (1898-1977) married Gordon Spencer, but she too did not have any children. (A photograph exists of Lynette and Florence, provided by Victor Clark). The sixth and last child of Jack and Julia Clark, Christopher Martin (“Lionel”) married Nora Jackson. Lionel and Nora apparently had three children – one of whom was named Lionel. Lionel Jnr. was apparently in the Harbour Service, and reached the rank of Port Captain, possibly in Cape Town. 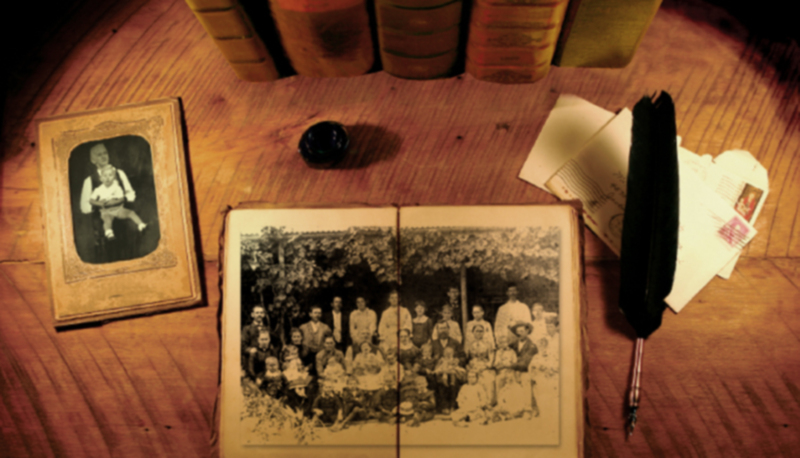 Based on oral histories from available sources, it seems that there was not a close relationship between the families of the children of William and Jane Clark, i.e. the subjects of Chapters 3 to 8. However, Jack and his brother George seem to have maintained a measure of contact, and in the wedding photograph of Edith Clark (daughter of George, who married William Burden) Jack appears to be the only Clark relative other than members of George’s own family. The same applies to the wedding photographs of George’s children May and Tom. In addition, George’s son Leonard and Jack’s son Sidney were in the wool hide and skin business together.3 Moreover, Leonard was Dora Clark’s executor. 2 The Natal Mercury article of May 28, 1932, entitled "Early Romance and Adventure - An Old Colonists 80th Birthday", mentions that Jack was at the time living in Durban North. (The article is on Ann Jane Wade, nee Clark, Jack's sister).